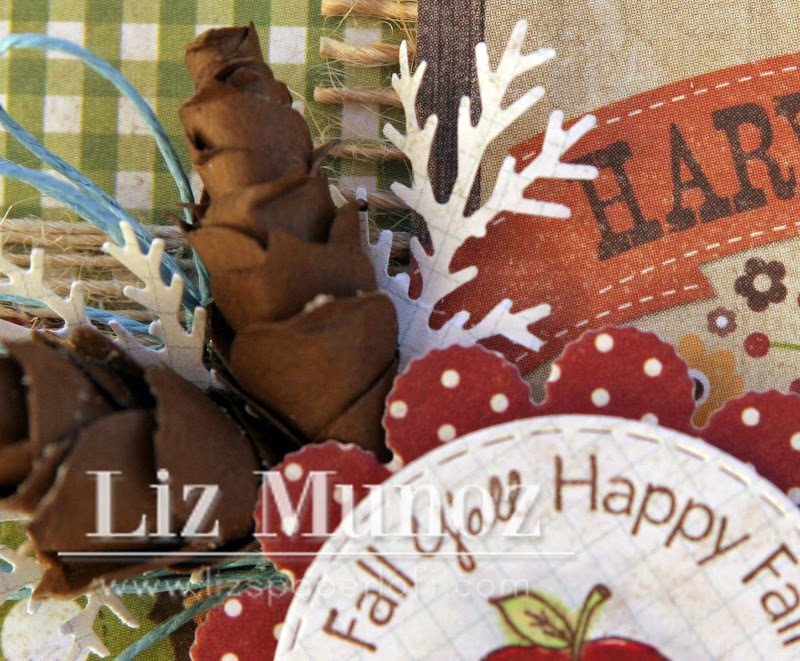 Liz's Paper Loft: Happy Fall Y'all ~ Card and Giveaway! Hope you're all have a fabbie week! Just when I thought that that fall was here in the Bay Area, we had summer like weather. That seems so crazy when you think of everything that's going on with the East Coast. It kind of made it hard to get in the spirit of Halloween and now Thanksgiving. Well I think our weather is finally changing to fall. We are finally suppose to be in the 50-60's and cold nights! OK, cold for us! LOL! 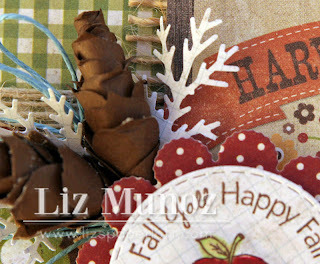 So now I really feel like I can get in the mood for Thanksgiving Day cards and decor! What do you think of my pine cones? I made them with My Creative Time's Rolled Flower Die! Also happening at My Creative Time is the Designer Challenge! So head on over to see what the new challenge is! WOW!! Liz I LOVE your card!!! Those pinecones are awesome...and super creative!!!! 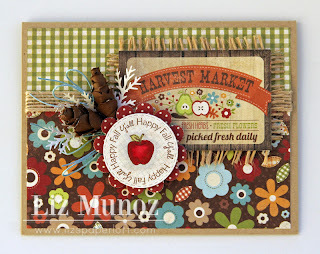 Gorgeous card LO and your papers and stamps....perfect!!! WOw so creative using a flower die to create a pin cone they turned out beautifully!! Amazing card! This is soooo darling!! Already LIKE you on FB!! Thanks for the chance for that cool twine! I liked the pine cone, different technique. Really cute. 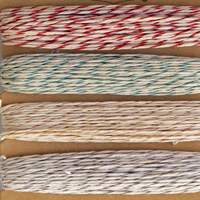 Hope to have a chance for that twine. It looks very inviting. I have just the cards for it. This is so adorable, Liz! Your pinecones are so cool, and I love all of the texture on here! Ohhh those pine cones are super fun. Oh you clever, clever girl! This is so beautiful and those pine cones are terrific! Wow, it's so beautiful! I LOVE all the great colors and patterns. :) The pine cones are fabulous.. you are just too creative!! Liz ~ OMG!! I am TOTALLY making these now!! I LOVE it and you are a GENIUS!!!! I think they turned out AMAZING!!!! You know I ADORE this card and the papers! You attention to detail ~ I ADORE!!!! I LOVE your boutique ~ I will be over soon!!! Look out!!! Adore the pine cones!!! So very clever and cool! 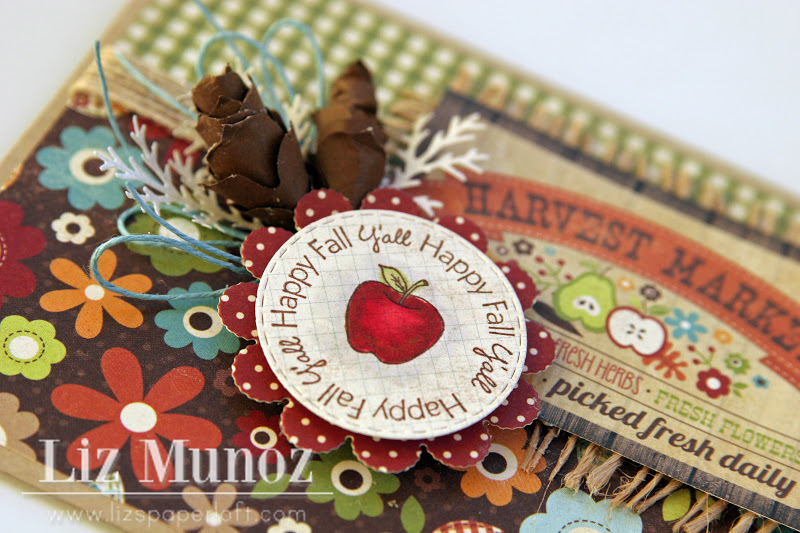 Wonderful fall card! TFS! Beautiful job my friend! Wow, I adore the pine cones and definitely will make these....so darn cute and creative! Love this Liz! Gorgeous card, Liz. I love the pinecones and the colors. It's so harvesty!